6.30 pm in The Amp. 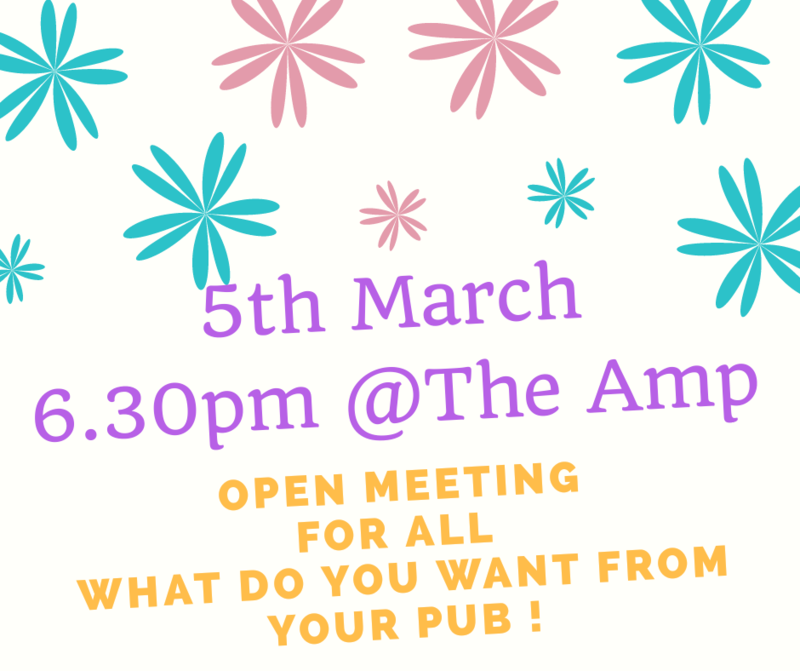 Please come and join us and let us know what you would like from your local community pub. Be prepared for us to take any telephone numbers and email addresses for us to help move this lovely pub we have now to the next level.